UPS truck! UPS truck! 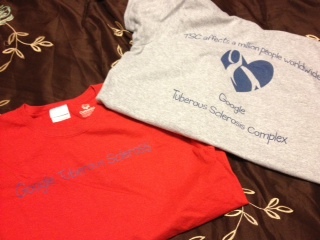 I’m very anti t-shirt so I took it upon myself to make a couple t-shirts for TSC awareness. I like to keep it simple on the front, and put the big stuff on the back. Thank, Custom Ink, for allowing me to be a t-shirt prima donna. If anyone wants one, color and shirt style can be changed. You have to order at least 10 for discount pricing. 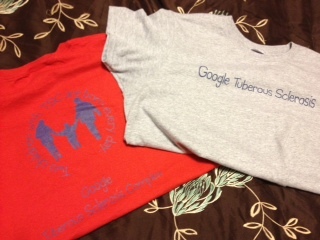 I have to admit I stole the Google idea from a family I came across online that had a son with autism. They were sick of the looks they would get when they were out so they made shirts for the family that said Google Autism.